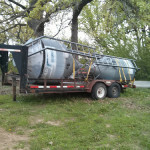 We keep getting more chickens, which means that we keep outgrowing the chicken equipment that we already have. No sooner than I found a newer better brand of 30lb. chicken feeder did we move on to 40lb. feeders, and lots of them. If you find yourself in the market for a 30lb. 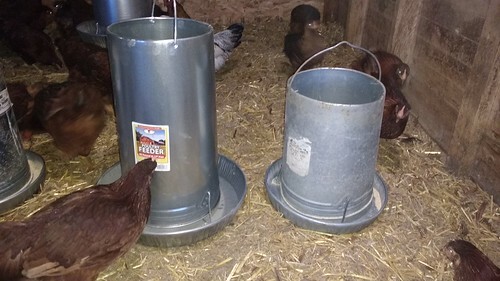 chicken feeder you can’t really do better than the Harris Farms free range feeder. They’re mostly identical to the standard Miller/Little Giant 30lb. feeder but they do have one much-needed improvement. 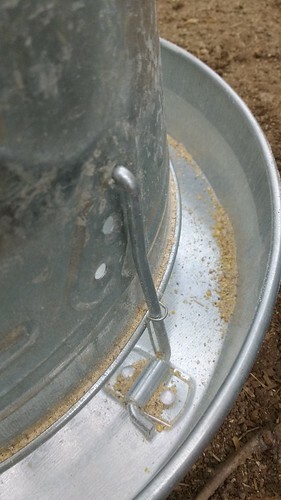 The Harris Farms feeders have a little spring integrated into the hooks on the pan. The springs may not look like much, but they keep the pan attached to the tube when empty. My biggest complaint about the Millers is the constant need to reattach the pan to the tube. That being said, we’ve recently moved on to the 40lb. 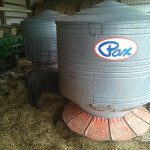 Miller/Little Giant feeders which are quite a lot better than their smaller brethren. For some reason they don’t have the same problem with pan-tube detachment even though they lack springs. 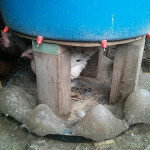 They also have a slightly wider and deeper pan, which makes it harder for the chickens to waste feed. 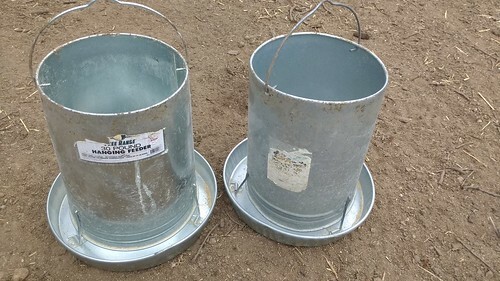 I’ve got my method of hanging chicken feeders pretty nailed-down by now. 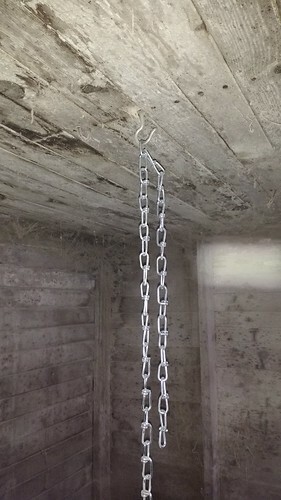 I use a hook in the ceiling of the coop, a bit of small chain and a double snap hook to hang the feeder. Cut a long enough piece of chain that your smallest feeder will just touch the floor, that’s as much chain as you should ever need. The feeders can be slowly raised over the course of the winter as the bedding builds up.